When Maciej Gałecki founded the Company in 2005, only a few would bet on online marketing. Today Bluerank carries out international projects in the scope of Internet marketing. 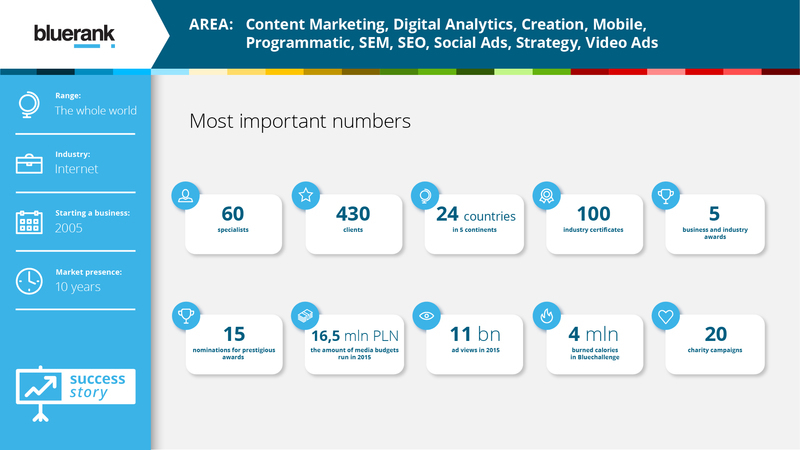 The Company employs 60 professionals in various areas of Internet marketing, who have completed more than 430 projects for clients in 24 countries from all around the world. See Bluerank's success story under the following link.